Like any wall of fame, in comics, once you become known for something, you can monopolise it. People look at key figureheads (pun not intended) and not past them, forgetting all the wickedly cool characters that also share that trait, just slightly behind them. At IADW, I love those 'back rows'. So this month as many lists of comics' top bald folk start and end with Kingpin, Watcher, Lex Luthor, Professor X and that slightly odd Moondragon chick, here are my The Top 10 'Other' Bald Characters In Comics - let's see who pops up. 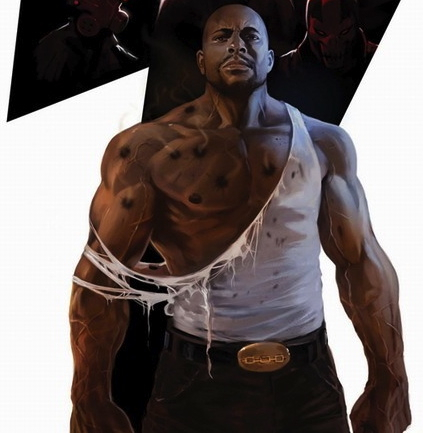 If there is a special ops team Michael Cray hasn't been a part of, they're obviously not that good. One of the world's ultimate soldiers, as part of Team 7 he became victim to the Gen-factor. A treatment which granted him an inability to die - no matter how little of him (or his hair) remains! An adventurer for hire, Rex Mason tracked an alien artefact for industrialist Simon Stagg and was double crossed. Left for dead, the temple granted Rex the ability to shape or transmute any part of his body with the entire periodic table. Thus the hair-free hero of The Outsiders was born! Quentin Beck maybe a special effects artist who turned to super-villainy after his career headed south, but his exploits against Spider-Man, Daredevil and co. have always been a hit with me. Not only does Quentin have a bald head himself, he wears an infamous fish-bowl like helmet as he does his sinister deeds - now that's pride! steps to the side and casts his own shadow, with all the conviction of a man from the streets. You don't need a pic to know who he is right? 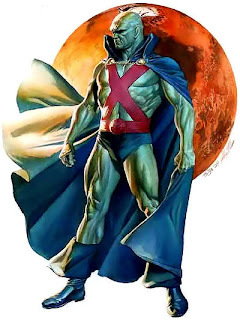 He's the Sentinel of the Spaceways, the guy who was turned silver and bald by Galactus in order to save his world, by becoming his planet/pizza delivery boy. One of the best Kirby/Lee creations, the Surfer belongs on this list. 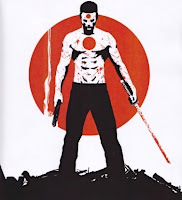 The living immune system of the construct that covers the nation of Japan in the 41st century, Rai is a tradition passed down through the generations, in order to keep the peace in regards to activists, terrorists and citizens alike! Hair free and all, Rai was Valiant's first original creation. Hopefully one that will return soon! When Charles Xavier strangled his own twin in the womb, she hid in his mind until her powers allowed her to replicate his DNA into a body of her evil own - and one just as bald! 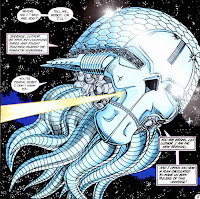 But who needs hair when you can control a forgotten Sentinel manufacturing plant, manipulate students and the Shi'ar army like puppets, or take on the strongest telepaths alive? I ask you who? He's not only the true heart of any real Justice League, J'onn J'onzz is a man (albeit a Martian) who in his natural forms, doesn't hide the fact he's green skinned or bald. 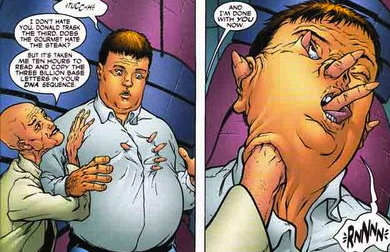 Who is comics' top bald character? Click here to find out. He's the best super super-villian, yet pretty much always gets played as if he's 64th. While I've tried hard to keep robots off this list, Brainiac is more often than not a humanoid, and so evil in his schemes that really, he can only be an organic life form to conceive of such ideas. 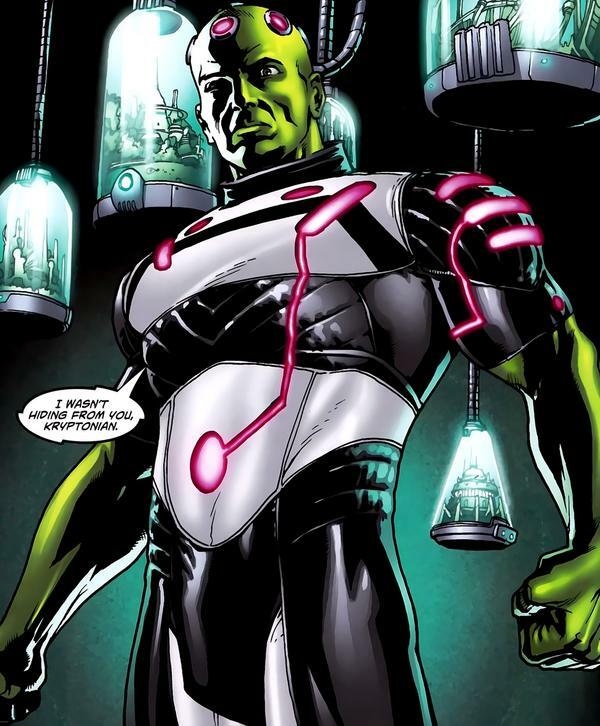 As a collector of worlds and their uniqueness, willing or not, Brainiac in all his various guises, has done much to wave the flag for bald comic creations. 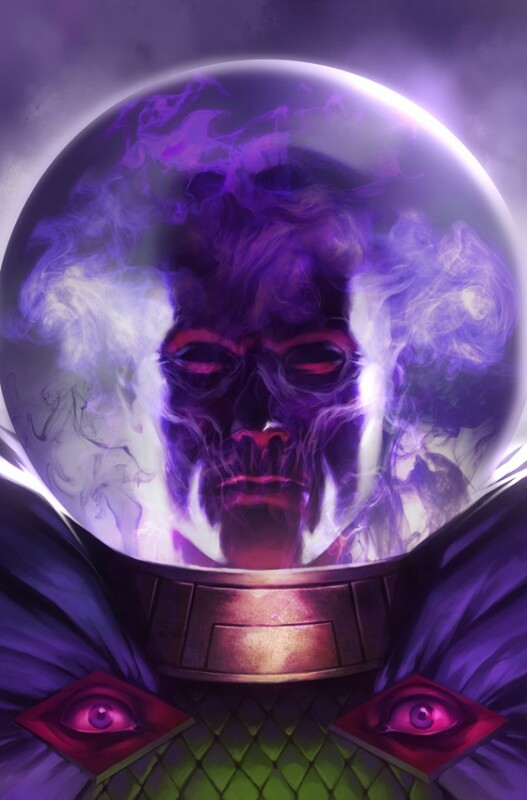 In the Justice maxi-series he lost mass, yet his hair-free dome still gave Brainy an evil aire. 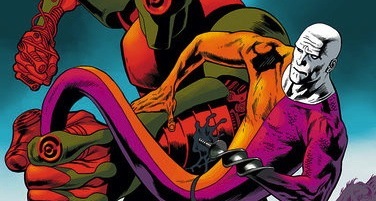 In the 80's, while abandoning his more human form, Brainiac caused chaos in his own tentacled spacecraft - one that not only bore his likeness, but it's own bald head as well! What do you think? Who are your favourite bald people in comics? Blue Devil? Abin Sur? Beta Ray Bill? Red Skull? Let me know! I love the bald guys. :) I don't know, though, how to choose between MM and Rai. I think Rai might win. Just cause...dude. He's Rai. And I love him. Also, Felicia Day was seen sporting a Lying Cat t-shirt in an episode of Supernatural. Rai is a pretty sorted chap. If he comes back from Valiant I promise Iwill buy the series. 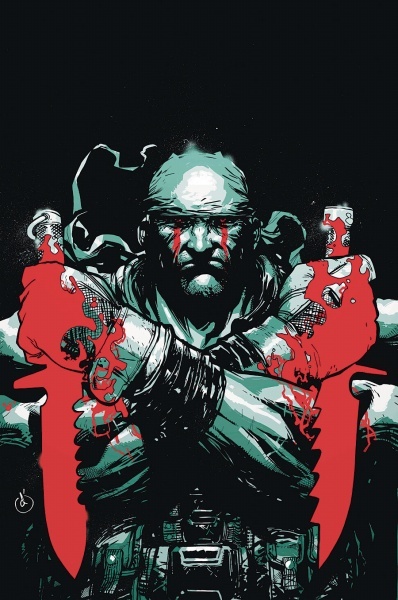 Hear that Valiant, that's one guaranteed sale - its a series that's already paid for itself, well almost. Kinda makes you wish the big two could give another publisher one of their creations for a year and see what they do with it. Kinda like how Marvel Knights was set up I guess. I mean, is DC ever going to put a decent spotlight on the Legion? Maybe giving them to Valiant for a year would show what a galactic team could do and highlight Paul's work so far! As for Lying Cat, like I said, if a mate of mine wants a shirt someone else wears, that someone else is pretty much constituting theft. Im sure if she was made aware of said criminal offence, she'd gladly hand it over.